Mesa Mistura Fonestar SM-507UB. 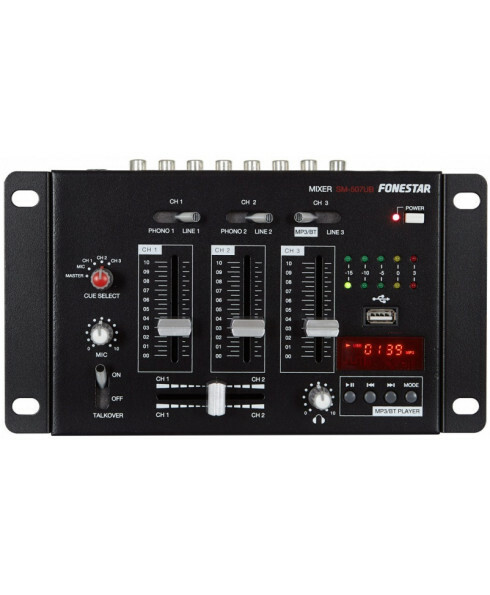 Compact 3-channel stereo DJ mixer and 1 microphone. BT/USB/MP3 mixer. 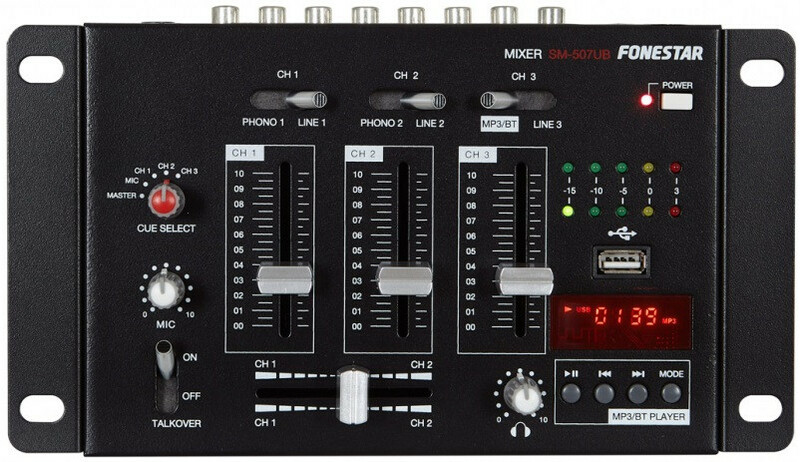 Compact 3-channel stereo DJ mixer and 1 microphone. Talk over for level reduction with mic.